The ONLY complete method for learning the mechanics and art of arranging for jazz and stage band. Everett Longstreth was born in Columbus, Ohio and received his first musical training studying trumpet with his father, Albert, who was a well known instructor and professional musician in Ohio. While in his early teens, Everett gained his first professional experience performing with his father’s orchestra, touring through the Ohio area. Upon entering the armed services, he was assigned to the 1st Armored Division Band at Fort Hood, Texas. While a member of this organization, he helped form The Dance Masters, an orchestra that performed for shows and dances at various officers’ clubs, N.C.O. clubs, and service clubs in the surrounding area. It was at this time that Mr. Longstreth became interested in writing and arranging for bands. Upon discharge from the service, he enrolled at the Berklee College of Music in Boston. His studies were interrupted several times to make national tours with orchestras. Upon graduation, he immediately joined the Woody Herman Orchestra. After an extended stay with the Herman Band, he returned to Boston and accepted a position on the faculty of the Berklee College of Music as an arranging, theory, and ensemble instructor. While a faculty member at Berklee, he continued to write and perform professionally in the New England area. He also performed a number of times on television’s Channel 2 Jazz Education Series. He was a member of the Herb Pomeroy Orchestra which traveled to New York City to play the famous jazz club, Birdland. It was during this engagement that the Pomeroy Band recorded its first album which features Mr. Longstreth as a player and arranger for Our Delight, a Ted Dameron original and Wolafunts Lament, by Bill Graham. 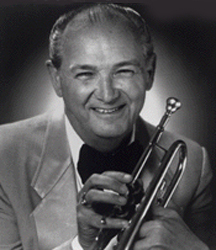 Mr. Longstreth again accepted an offer to do a world-tour with the Sam Donahue-Tommy Dorsey Orchestra. This package included such performers as Frank Sinatra, Jr., Helen Forest, Charlie Shavers, and the Pied Pipers. The 2 ½ year tour included Europe, Puerto Rico, West Indies, South America, and the Far East. While a member of this organization, he appeared on the Johnny Carson Show, the Ed Sullivan Show, the Mike Douglas Show, the Hullabalo Show, and many other radio and TV shows in European South America, and Japan. His recordings include: Young Love for Sale; Frank Sinatra, Jr., Sam Donahue Orchestra; Hello Dolly, Tommy Dorsey Orchestra directed by Sam Donahue; Life is a Many Splendored Gig and Pramlatta’s Hips, Herb Pomeroy Orchestra. At the conclusion of this tour, Mr. Longstreth returned to Boston to resume jazz/stage band arranging and ensemble instruction at The Boston Conservatory of Music, Lowell State University, New England Conservatory of Music, and The Massachusetts Institute of Technology (M.I.T.) where he taught for 32 years and has a scholarship named in his honor. Since his return to the Boston area, Mr. Longstreth formed his own orchestra which uses a complete library of his own arrangements. The band performs for various functions throughout the New England area. In addition to these credits, Mr. Longstreth has played and/or arranged for Bob Hope, Tony Bennett, Wayne Newton, Sergio Franchi, Nancy Wilson, James Brown Show, Nelson Riddle Orchestra, Tony Orlando & Dawn, Warren Covington Orchestra, Buddy Morrow Orchestra, Bob Crosby Orchestra, Frankie Randall, Myron Floren of the Lawrence Welk Show, Miss Massachusetts Pageant, Miss America Pageant, The North Shore Music Theatre, The Cape Cod Melody Theatre, Tony Sandler-Ralph Young & Mitzi Gaynor at The South Shore Music Theatre, The Ice Follies at Boston Garden, and a Original Duke Ellington Jazz Ballet at the Boston Ballet Company. Mr. Longstreth is the author and publisher of two Arranging text books for the High School/College student and the Professional Musician: Jazz/Stage Band Arranging Book I and Jazz/Stage Band Arranging Book II. These books are unique in the fact that they are the only comprehensive, step by step approaches to writing for the Jazz/Stage Band of today. While other publications cite musical examples in the jazz arranging, these volumes detail the process of arranging and compositional techniques for Jazz/Stage Bands of smaller sizes up to the full-sized Jazz/Stage Band. Special attention to melodic harmonization as well as contrapuntal techniques and musical form are explained in detail with multiple musical examples. These books are a must for any composer and are available to purchase on this web site. These books were written to be used as a text for college and high school level students, the professional musician, and the part time musician who has a desire to arrange for jazz and dance bands. Each book is divided into two parts, each part containing material for one semester of college level work. The material in these books is presented in a logical step-by-step process, the Approach to arranging for the contemporary band of today is Possitive in that all of the material given is Usable. The techniques of arranging can be taught. Musicality is gained though practice and experience. If the material in these books is studied and followed in the sequence given, the student will have a thorough knowledge of the basic techniques used in arranging for the contemporary jazz/stage band of today. I have used and refined this method to the point where it can be successfully taught at any level. Study diligently and enjoy New Opportunities in Music. Book I gives the arranging student a solid foundation of the principles and techniques in arranging for the modern dance or jazz band. Harmonization of a given melody is detailed with emphasis on Approach Techniques; simply stated: the method for harmonizing a non-chord tone which approaches a chord tone. As the harmonization is learned, practical use in an ensemble of four saxes, four brass, and rhythm section is explained including creating the score & parts for the musicians. While there are many books available that cover jazz harmony and/or instrumentation and/or orchestration, no other book available today comprises a method for arranging mechanics that actually works. The arranger, after completing the chapters and exercises in Book I will be able to write for the smaller jazz ensemble and will be limited only by his or her imagination. Book II encompasses more advanced techniques for the arranger beginning with harmonization for five saxes or the full sax section of a Big Band. The methods of thickening out the sax section sound are explored and detailed as well as unison and tutti writing. Book II gives step-by-step instruction and examples of mechanical voicings for saxes and brass as the band grows from five saxes and five brass (saxes: two altos, two tenors, baritone  brass: three trumpets & two trombones) up to and including a full sized Big Band with five saxes, four trumpet, four trombones, and rhythm section. Also covered in Book II are the art of writing a good counter-melody, mutes & special effects, and non-common voicings to name but a few. The arranger who completes both volumes will have no difficulty in writing for a jazz/stage band of any size or instrumentation. SPECIAL - BUY BOTH BOOKS AND SAVE! It was a pleasure to participate in the details involved in the preparation of Everett Longstreths books on Stage (Jazz) Band Arranging. His methodical approach covers easily understood basics at the outset and develops steadily and finally into a completely usable musical source for the beginning and/or advanced arranger. Everett Longstreth's Stage Jazz Band Arranging Books I & II are the Music Arrangers Bible. Mr. Longstreth's step by step approach to arranging for Jazz, Stage, and Dance bands is one of the best guides around today for aspiring music arrangers. The books cover each phase of the arranging process and provides excellent, understandable examples of all arranging techniques. Mr. Longstreth's books are based on his many years of experience as a professor of arranging, a conductor of jazz bands, and as a professional musician who has performed & arranged for the top bands & artists in the country. Every one of my students is required to have Books I & II. As a result, I have first hand knowledge of the excellent content in the books by the rapid progress of my students. Therefore I recommend Everett Longstreth's Stage Jazz Band Arranging Books I & II to all aspiring music arrangers. I always said to myself that given the chance to teach Big Band Arranging again, I would make sure to use your fine textbook. Well, I am now teaching graduate and undergraduate courses in Big Band Scoring here at the college and at this date, your book is in the bookstore waiting for our summer session to begin on June 25th. Your books 1 & 2 are THE BOOKS! I had the pleasure and good fortune to study arranging with Everett Longstreth at the Boston Conservatory of Music. His arranging books, in printed form, were a welcome replacement for my tattered notes. I refer to these books on a daily basis when scoring for Jazz Band and the techniques which are detailed can be used for any type of ensemble. Having the books in electronic form allows me to utilize them while preparing my scores on the computer in Finale. These books are the ultimate digital reference material for the professional composer/arranger. When I recommended that the MIT Music Library acquire both volumes of Everett Longstreth's Jazz Band Stage Arranging, I did so, based not on my experience as an arranger, but as a jazz trombonist. These volumes provided me with the best introduction that I know on how jazz works. They were a tremendous help to me as an improviser. For those interested in both jazz playing and jazz arranging, these volumes are the ones I would recommend first and always. The Method for Jazz & Stage Band Arranging texts are indubitably the finest texts on arranging in the jazz style that are available today. They are the most direct, understandable and complete in every facet of the technique. I suggest these books for any composer, not only the jazz composer, but composers of concert music, musical theatre, and popular music. All serious composers should realize that the art of composition is to know as many styles as possible and the elements of these booksshould be familiar to everyone wishing to be a professional composer and/or arranger. To the 21st Century composer, the Longstreth texts should be just as important as the counterpoint text, Gradus ad Parnassum of Johann Fux and the Treatise on Harmony by Jean-Philippe Rameau. I have done several arranging workshops in South America, Spain, and throughout the United States. I always suggest purchasing the Longstreth texts. ©2019 by newEnglandSwing.com All Rights Reserved.